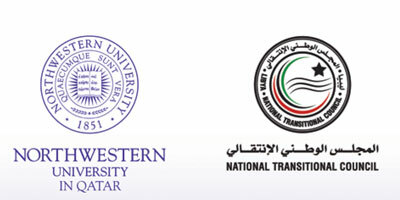 Northwestern University in Qatar (NU-Q) offered its “good offices” and commitment to impartiality to provide a neutral forum, assisted by world-class experts as advisers and resources that assisted Libyans in talking among themselves to reach tentative consensus on several topics. NU-Q convened and conducted the conference funded with its own resources as an independent, uninvolved party. NU-Q sought to facilitate consensus from the conferees on several topics, noted in the program, but did not endorse any legal policies or positions, express preference for specific economic and business models, or recommend technological solutions or commercial products. That we left to the Libyan conferees to discuss as they sought to find consensus and agree on solutions. NU-Q also offered counsel on matters related to freedom of expression and modes for achieving media freedom; the role of independent journalism in a pluralistic or democratic society; factors involved in the production of quality journalism aimed at an informed populace; and methods and approaches proven effective in the education and training of journalists and other media professionals. With the Arab Spring, this “Good Offices” approach has, if anything, become even more important. Several countries in the region have new governments and, as the problems facing Libyan media demonstrate, in many areas they are beginning anew. The solutions to many of these problems already exist in countries around the world, but the region’s new governments are wary of being accused of being influenced by outsiders.Conferences like this provide the best of both worlds: the opportunity to draw on expert advice in an impartial environment.